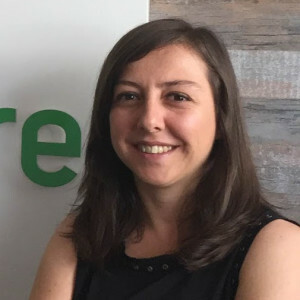 Turkey isn’t a market you often hear or speak of when it comes to ad tech, but according to Hulya Altunbas (pictured below), CFO, ReklamStore, it’s a market that is full of opportunities and is experiencing significant growth. Here, Altunbas speaks with ExchangeWire about how Turkey’s young market makes social and mobile an exciting prospect for ad tech. 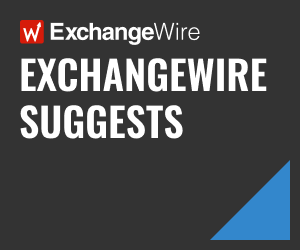 ExchangeWire: For those of us not familiar with ReklamStore, please tell us about your company and core offering. Hulya Altunbas: ReklamStore is the leading digital advertising platform that offers data-centric performance solutions for advertisers and publishers. ReklamStore provides online advertising solutions for advertisers to target the right audience with the right ad model by analysing users’ demographics and interests, according to their web browsing behaviour. This way, advertisers can easily execute effective and efficient online marketing strategies to reach their targets. ReklamStore’s expert team and technology help advertisers, agencies and publishers to reach their targets and increase their brand awareness with performance based solutions. You are based in Istanbul, Turkey, but also serve markets outside of that region. eMarketer put out a report that ​Turkish digital advertising​ grew by 20% from 2014­ to 2015. Does this align with the growth you are seeing internally? How do you see the Turkish digital advertising market evolving over the next few years? ReklamStore’s yearly average growth rate is above 50% since it was founded in 2007. This includes organic growth as well as the new revenue streams from new products, new technologies, and new regions. Even if we exclude our international sales, we still see a much higher growth rate than 20%. We foresee a minimum growth rate of 20% in the Turkish market, considering the fact that internet penetration is still around 50% and the total share of the ad market in the GDP is significantly lower compared to developed markets. All these facts show that the market growth potential is very high. Are there any specific nuances about Turkish audiences that you would say differ from Western or American audiences? For example, types of devices that they like to use, and what apps or platforms they use most for content consumption? What types of ads do they usually engage with? Mobile device usage and online engagement is extremely high. According to comScore, the Turkish online audience is one of the most engaged online audiences in the world. Turkey’s young population makes it one of the most attractive markets for social media. Facebook and Twitter are very popular. As a result, the highest growing digital ad segment is mobile. The mobile ad market grew by 61% in 2015, which is significantly higher than the total digital ad market growth of 20%. I think digital advertising companies should set their strategy according to these trends. For example, as ReklamStore, we made an acquisition recently, to enhance our mobile presence in the market. We acquired Rekmob, Turkey’s first self-serve mobile ad network. Rekmob offers advertisers innovative targeting options to reach millions of end customers through hundreds of mobile apps. Cross-device targeting has been a hot topic in advertising for the past few years. Do you think there will ever be a democratised cross-device identity layer that will be offered by an independent player, that can be used by independent advertising companies in the future? How do you think they will acquire this data: through a probabilistic or deterministic dataset? Marketers want to be in touch at key points on the customer journey. In order to do this, they must be able to map people across their devices. So, cross-device identity management will be at the core of data-driven advertising. Most digital marketing companies take the data they have and use an algorithm to map users. So, they will use a deterministic dataset in a probabilistic manner. The advertising companies that are strong in data­-driven advertising will have a competitive advantage in this process. What type of ad formats (mobile, native, video, display) have you seen work best for which categories of clients? Display and video works best for branding campaigns; whereas advertisers that focus on performance marketing prefer mobile and native models. Lastly, what do you see as the future of digital advertising in Turkey and its surrounding regions? Turkey is an emerging economy, as is its region (MENA & Eastern Europe). Market growth rates are higher than developed economies, so the market potential is very strong. The expected growth rate in digital advertising is higher than the global average. The population is mostly young, mobile, and open to new trends. There are many opportunities in these markets. At ReklamStore, we aim to offer latest ad tech solutions to our advertisers and publishers to capitalise on these opportunities.